Listen to some of the great popular songs of the past hundred years. With both classic songs of the American and English songbooks, and classic songs of the Rock and Roll era, Oh, What a Kick! will have you dancing and singing along before you know it. 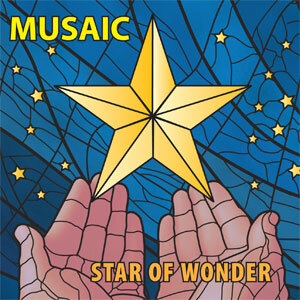 Musaic's second collection of holidays songs explores the wonder of the season, enlightened through melodies and harmonies from around the world. From reverent classical anthems to joyful jazz carols, let our spirited men's voices lift you into a Christmas reverie. 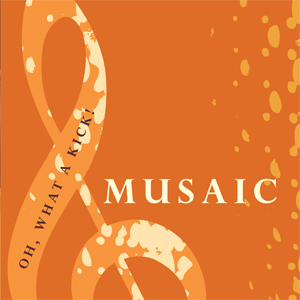 With songs from around the world, and featuring many of the pieces from our World Voices and Love Songs and Lullabyes programs, Musaic has reached a new level of musical and technical excellence with these engaging recordings. Get the holiday spirit! 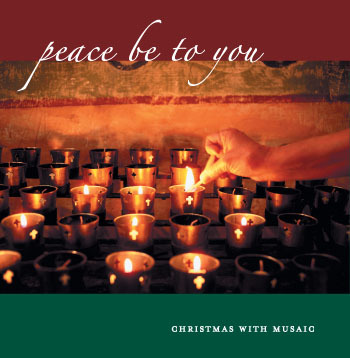 Our new holiday CD, Peace Be to You - Christmas with Musaic, spreads holiday cheer through over 15 seasonal classics. 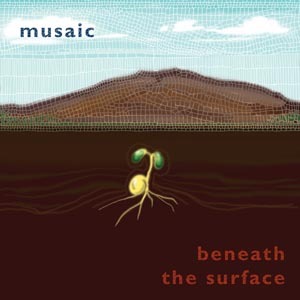 Musaic's first CD includes folksongs from North America, the British Isles, and others. The disc also includes a selection of early music and several spirituals, demonstrating our range of musical interests and vocal skills.